Relationships. That was the topic of my conversation with Michael Herrick, Sales and Marketing Manager for Mt Difficulty Wines, when we met at a recent lunch hosted by Continental Wines. Central to all wine is the relationship one has to the contents in the glass – not only do you like it, but does it have the ability to transport you to another place just by virtue of the aromas it presents. Given our ability to taste is reliant on our sense of smell it is little wonder people smell a wine and then exclaim how it takes them back to the last time they drank it or the time they shared it on a special occasion or perhaps even when they visited the winery and first tasted the wine. Pinot Noir is the wine that transports me to another place every time I drink it. The constantly evolving aromas of a good Pinot Noir as it reveals its character – feminine, masculine or broody teenager – are one of the many things that make me a die hard Pinot Noir lover. 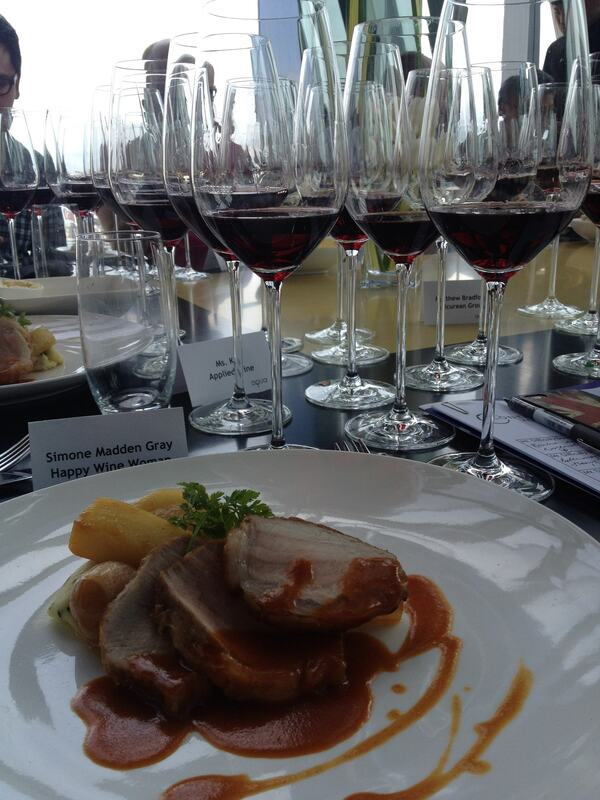 And Continental Wines’ lunch where we tasted a vertical of Mt Difficulty Pinot Noir 2007 – 2011 had me in my happy place! A good relationship and the ability to demonstrate an understanding of the winery’s vision is critical to the success of any wine on the market. 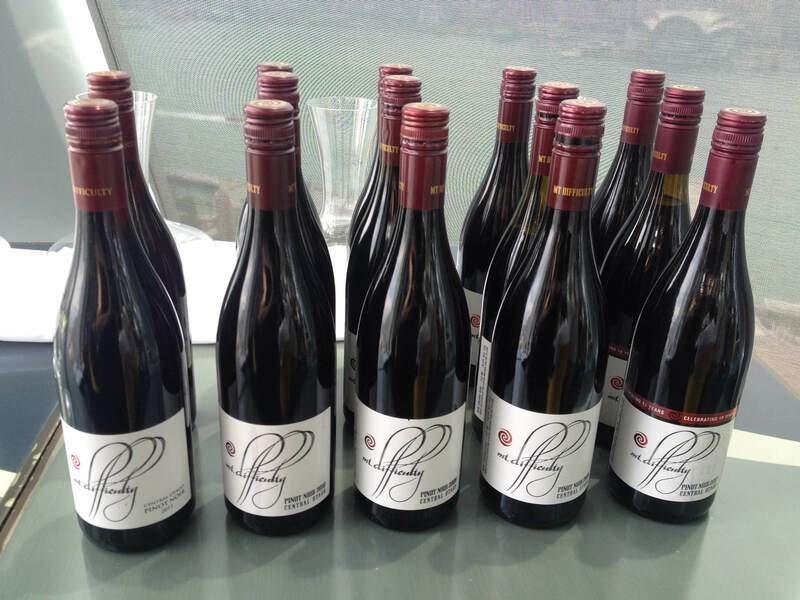 The strength of the relationship of more than five years between Mt Difficulty Wines in Central Otago, New Zealand, and Continental Wines Managing Director, Victoria Williams, was evident in the wines presented for tasting. 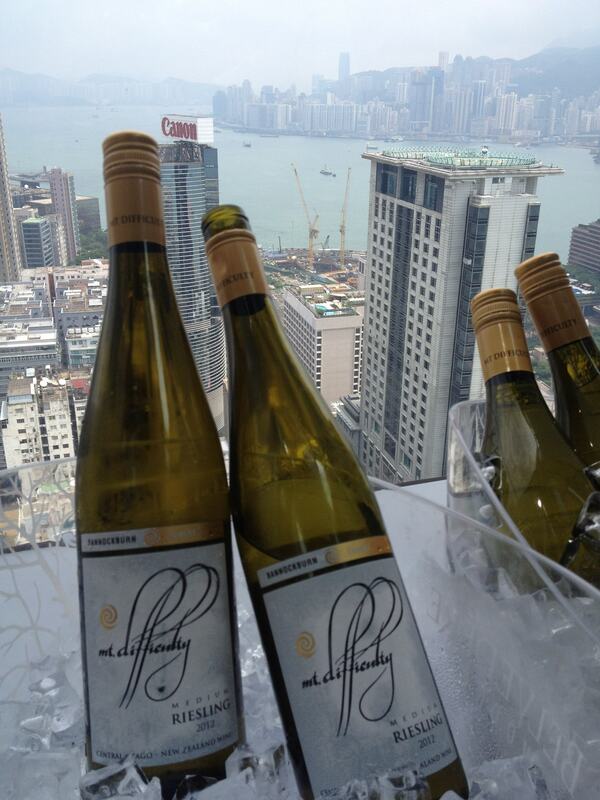 First up was the Target Riesling 2012. A dangerously delicious drop with aromas of citrus, white flowers and honey. Flavours of lime, honey, fresh lemon juice and mineral notes all finished off with a good dose of acidity belie the 40g residual sugar in this Riesling. On a day such as today where the sun is shining brilliantly, I can imagine a bottle of this Riesling would not last long in our house! The lunch began with pan-seared scallops served in a green pea emulsion matched with a Pinot Gris. For those of you who know me, you will know that not only do I despise all things green pea related; I am also not a big Pinot Gris drinker. This is because I find many a Pinot Gris to be a bit dull and rather flavourless. 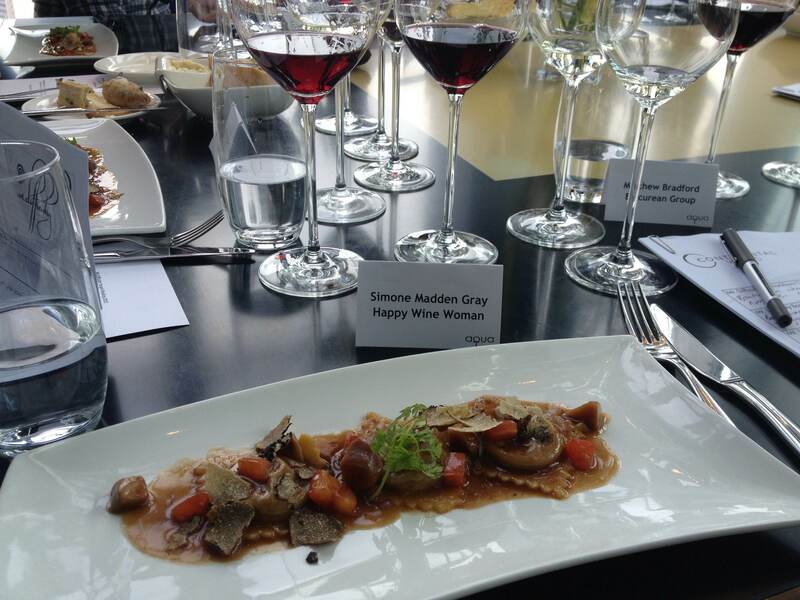 How wrong would that description would be for the Mt Difficulty 2012 Pinot Gris. This delicately crafted wine of flowers and stone fruit was a delightful pairing with the scallops and banished all thoughts of green pea emulsion from my mind! The next course was veal shank stuffed ravioli served in a Porcini mushroom sauce with truffle shavings. This was paired with the 2011 and 2010 Pinot Noir and what a glorious match it was. I couldn’t decide if the fresh red fruits and spice of the 2011 was the better match or the fuller bodied, moodier 2010 with its cherries and violets and dark graphite flavours. To conclude the lunch we enjoyed an Iberian pork chop served with mashed potato, parsnip and shallot in a smoked paprika pork jus. For this course we tasted the 2009, 2008, 2007 Pinot Noir. Unfortunately I found the 2007 to be rather closed and in discussion with Michael this was not unusual for this wine, which he had seen in similar phases during its development. This left the 2008 and 2009 to fight it out and for me, by the narrowest of margins the 2009 came in first. The spice and herbal notes won me over with aromas of fennel, aniseed, cedar and dried mint followed by flavours of plums, strawberries, red liquorice and aniseed with a good long finish. As you might expect with Pinot Noir, not only couldn’t my lunch companions and I find agreement on our favourite Pinot Noir but we were often changing our minds as the wines continued to open in the glass. One thing we all agreed however, was that the wines on tasting were some of the very best examples from the most southerly of wine growing regions, Central Otago.